On July 13th, 2012 the European Commission announced a proposal for a Regulation Of The European Parliament and Of The Council on periodic roadworthiness tests for motor vehicles and their trailers. As a response to this proposal, riders from three European countries that do not have road worthiness testing (RWT) are up in arms and ready to ride to Brussels to show their discontent about this proposal. MAG Netherlands, MAG Belgium and NMCU (Norway) intend to protest on September 22nd in Brussels. At Right To Ride, we fully support this protest because we recognise that each European country has its own issues and own way of doing things. For example countries such as Norway only ride around 6 months of the year and do far lower mileage, consequently there would be less wear = less defects. So not wanting RWT is understandable. In the Netherlands, we are told that the motorcycle parc (bikes in circulation) is older than in the UK, and generally motorcycles are kept in good condition, so we can understand the logic of not wanting RWT there either. We assume that the situation is similar in Belgium. We certainly believe that the EU should not interfere and that this is a national issue which the individual national organisations should lead on. In Northern Ireland where we are based, the testing stations are run by the government (as a not for profit scheme) and failures for defects are on average 7% per year – the cost of the RWT – which is called the MoT, is £22. (29 euros). The test is carried out annually on motorcycles over three years of age and is considered a useful, valid means of checking for defects. It would in our opinion, be political suicide for us to support the abolition of the MoT. For that reason, we could not participate in a demo to Brussels, but that does not mean we don’t understand the reasons why our brothers and sisters in other countries are against this proposal. We have raised our concerns and made our views very clear that the arguments used by the Federation of European Motorcyclists Associations (FEMA) were flawed and did no favours to these National Organisations to support their cause. MAG Netherlands has organised on Saturday 22 September 2012 a protest ride to Brussels. The protest ride is organized to take action against a compulsory MOT for motorcycles. The protest ride is organized in cooperation with MAG Belgium. On www.motorrijdersactiegroep.nl and www.facebook.com/motorrijderstegenapk we will keep you informed of the latest news and the preparedness of the protest ride. The Facebook page for English speakers has a handy Bing translator. Put it in your diary: Saturday 22nd September 2012! Norway – Do not try to fix a problem that does not exist! Norway is one of the countries within the European Economic Area (EEA) that does not have Road Worthiness Testing (RWT) for motorcycles. And the Norwegian Motorcyclists Union (NMCU) cannot identify any reason for the introduction of RWT for motorcycles. NMCU finds support for its position in an in-depth study of fatal motorcycle accidents in the years 2005-2009, published by the Norwegian Public Roads Administration in 2011. One of the questions asked in the analysis was if technical failures caused fatal motorcycle accidents. The report concludes: The technical condition of motorcycles has been part of the debate surrounding the safety of motorcycles. In our analysis technical faults have been registered as a cause or contributing factor in only 3% of the accidents. The technical faults have been associated with worn tires and incorrect air pressure. In one instance there was an engine breakdown. Two motorcycles had been modified extensively, and this may have been of significance to the accident. Our analysis gives reason to believe that measures aimed at the technical condition of the vehicle will have limited effect with regard to fatal accidents. Based on the conclusion of this report by the Norwegian Public Roads Administration, the Norwegian Motorcyclists Union states forcefully: – Do not try to fix a problem that does not exist! Norway introduced extended RWT for cars in 1995. An independent study by the Norwegian Transport Economic Institute (TOI) evaluated the effects of RWT on car accidents in Norway (Christensen & Elvik 2006), applying negative binominal regression models to accident data stemming from an insurance company and the Public Roads Administration. A previous study (1992) had already questioned the beneficial effects of RWT, and this more recent study again indicated that the potential of RWT to prevent accidents might be overrated. Christensen and Elvik conclude: There is no evidence of any effect on accident rates of periodic inspections. Following their findings, RWT does not fail to detect technical defects, but even though having passed a periodic inspection, the accident rate of inspected cars does not decline. On the contrary, it even shows a weak tendency to increase (!). Based on this the TOI developed a challenging hypothesis: When a car is inspected, and owners are forced to repair at least the more serious technical defects, behavioural adaptation may occur because owners now think that cars have become safer than before. Based on this report produced by one of the most important Norwegian transport research institutes, NMCU says: If RWT does not work for cars, why introduce it for motorcycles?! 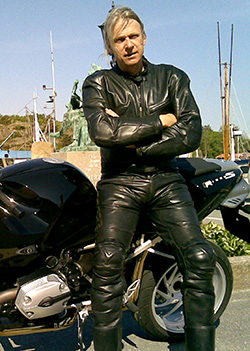 “Introduction of RWT for motorcycles would cost Norwegian riders several million NOK every year. If it cannot be scientifically proved that RWT has a clear safety benefit, we would rather see money taken out of our pockets used for measures that we know will have positive effects on motorcycle safety, e.g. 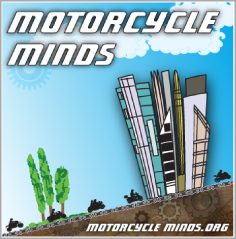 SEE US campaigns, motorcycle friendly infrastructure and good rider training” says Morten Hansen, General Secretary of NMCU. In Sweden new motorcycles need to be inspected after four years, then every two years. 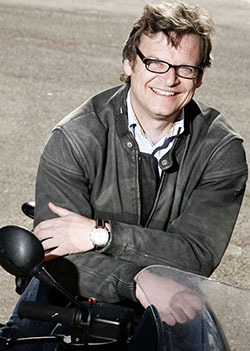 In 2005, following thorough investigations, the Swedish government decided not to mandate roadworthiness tests for mopeds. Due to good performance the annual test requirement for motorcycles older than ten years was changed in 2004 to biennial tests. Sweden is the only country in Scandinavia where periodic roadworthiness tests are mandatory for motorcycles. However, Sweden does not have better motorcycle accident statistics than Denmark, Finland or Norway. 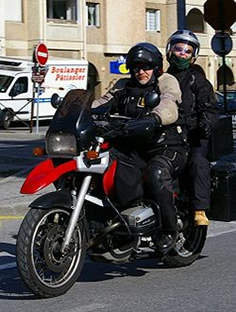 The most important reason why mopeds class I  are not included in the testing regime are the long distances many moped riders would have to travel just to find an inspection facility. In Sweden Mopeds class II are not registered at all. The new proposal of the European Commission would force Sweden to go back to an annual inspection scheme for older motorcycles and to introduce regular tests for mopeds. Source: Statistics from Bilprovningen , Sweden.